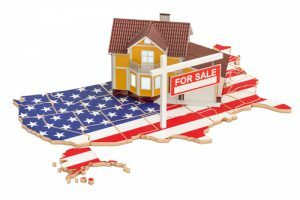 Job availability and affordability are, of course, top concerns when considering where to live; but “environmental security” may be a growing concern as many homebuyers also focus on factors such as clean drinking water and air quality. With a reference to natural disasters that caused an estimated $200 billion in property damage in the past year and a recommendation that “We should all try to do our part to save the world for future generations,” WalletHub  released the results of a study  ranking all 50 states in terms of environmental friendliness. We “spend money through our own consumption and taxes in support of environmental security,” according to WalletHub, so where do we find it? Vermont was ranked the most environmentally-friendly state in the nation, ranking No. 1 for both environmental quality and eco-friendly behaviors. The state ranked around the middle, at No. 23, for climate-change contributions. Vermont was reported to have some of the best air quality in the country and had the second-least amount of solid waste per capita. The top five most environmentally friendly states were rounded out by Oregon, Massachusetts, New York, and South Dakota. West Virginia came in last, leaving it as the least environmentally friendly state in the nation. It ranked lowest for both eco-friendly behaviors and climate-change contributions and was No. 41 for environmental quality. The list of five least environmentally friendly states also included Louisiana, Kentucky, North Dakota, and Alabama. WalletHub also ranked states in terms of LEED-certified buildings per capita. New Mexico took the No. 1 spot for this metric, followed by Hawaii, New Hampshire, Oregon, and Texas. Delaware had the least LEED-certified buildings per capita, followed by Kansas, West Virginia, Nebraska, and Iowa. The highest air quality in the nation can be found in Wyoming, North Dakota, South Dakota, Vermont, and New Mexico. The lowest quality air in the country is in Arizona, Indiana, Pennsylvania, Illinois, and California. The states with the highest water quality were Minnesota, Delaware, Maine, Nevada, and Colorado; while the states with the lowest water quality were Ohio, Louisiana, Maryland, Oklahoma, and Kentucky.